Have you seen a polecat? A wildlife charity is surveying polecat numbers to discover the mammal’s range and genetic purity. The elusive mustelid is the ancestor of the domestic ferret, but there is little genetic difference between the two species and many wild polecats are actually hybrids. Polecats were trapped almost to extinction in Britain in the 19th century, but, according to the Vincent Wildlife Trust, are re-colonising in Wales, southern England and Cumbria. 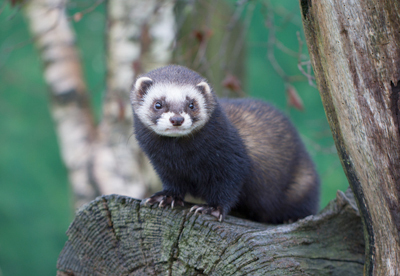 However, like the Scottish wildcat, inter-breeding with domestic animals is confusing the picture-many ferret- breeders are producing animals that look like polecats-as are ‘well-meaning’ but unofficial reintroductions. The trust would like people to report polecat sightings and, if they can face it, collect any roadkill. Telephone 01531 636441 or visit www.vwt.org.uk for instructions.